I read a Temple Grandin book recently that described in depth what domesticated animals enjoy doing, naturally, by describing what their wild counterparts do. Pigs have a seeking behavior that is very strong, that is why they dig up and root up anything they can. 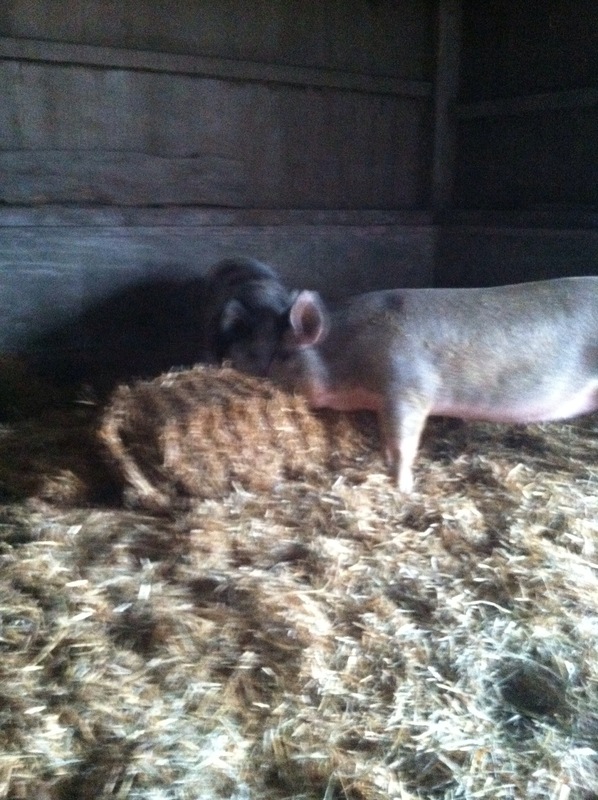 Grandin believes that straw is vital to the behavioral health of pigs. They can spend hours searching, biting, eating, rooting through the straw. I recently was very undecided on whether to put my gilts out on pasture or not. I really wanted to pasture farrow to finish but would have had to ring them multiple times, which I don’t believe is very humane. They get to smell and feel the soil beneath their hooves but never get to root through it. And if they do, they risk nerve damage to their snout, their most important part of their body that helps rule their natural behaviors. So I decided to keep them on concrete and provide them straw bedding to nest in and root around in. I give them some hay every once in a while and supplement their grain diets with nuts, apples, fresh greens and other veggies. On the edges of the lot are areas they can burrow their noses in the dirt. 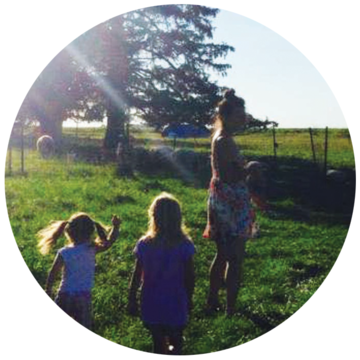 I feel confident in my decision and feel like I am giving them a healthy and happy life where they can do what comes naturally. You know it’s spring here in Iowa when the lambs start coming. 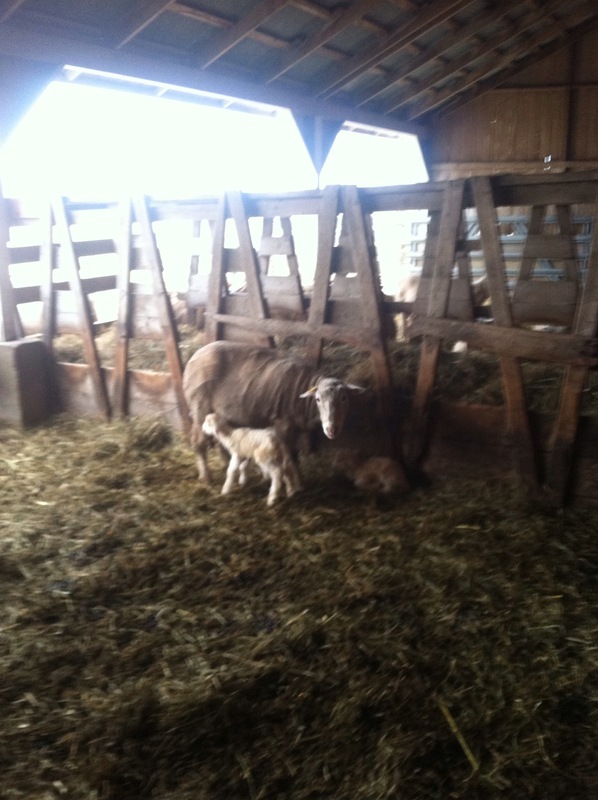 Each morning from April 1 on out we find new baby lambs born. The mamas do a great job at birthing and cleaning them off. The less we mess with them the better they become at doing it all on their own. This year we will be grass feeding all lambs (no feed supplement or corn) and we will let their mothers self wean their babies.